I was up in Buffalo over the weekend for a childhood friend's wedding and my itinerary was jam packed into my less-than-48-hour visit. Planned was a visit with another childhood friend, Annette, who recently donated her kidney to her niece, and drive to Western Pennsylvania for the wedding. 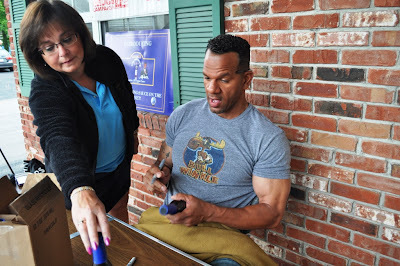 En route, my mom informed me Andre Reed, former Buffalo Bills wide receiver (1985 – 1999), was going to be in town for a public appearance. Reed, who HAS to be Hall of Fame-bound, was promoting his all purpose cooking sauce called Over the Middle. I'm told it’s delicious on burgers, steak and chicken and that it's a barbecue and steak sauce rolled into one. 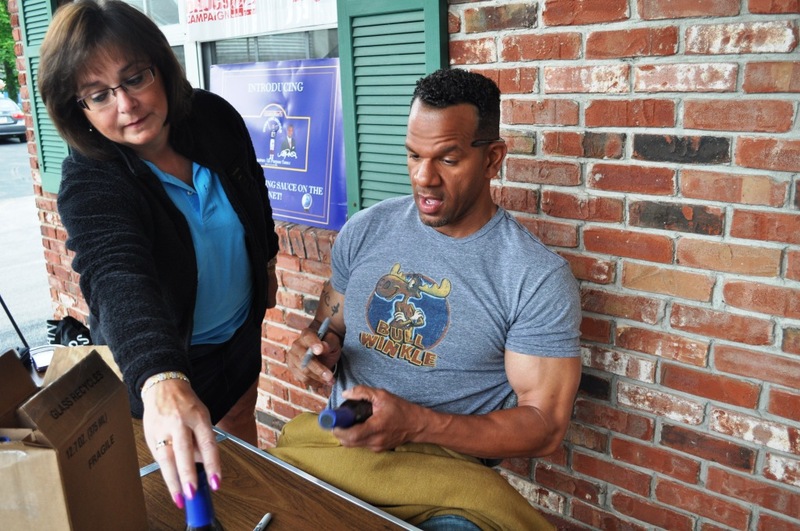 I picked up a few bottles of Reed's sauce and while he signed them, I asked him if it was good being back in Buffalo. "Always good to be back in Buffalo," he told me. "If I had a dime for every time someone told me I wish you were playing…it’s a nice thing." For every bottle of Over the Middle sauce sold in Western New York a donation is made to Kids Escaping Drugs. KED's mission is to raise, manage and distribute funds for the development and support of facilities, education and prevention programs for adolescents and their families in Western New York suffering from alcohol and drug dependency/addiction. I'm looking forward to tasting Reed's sauce but hope I can save his autograph on the bottle.